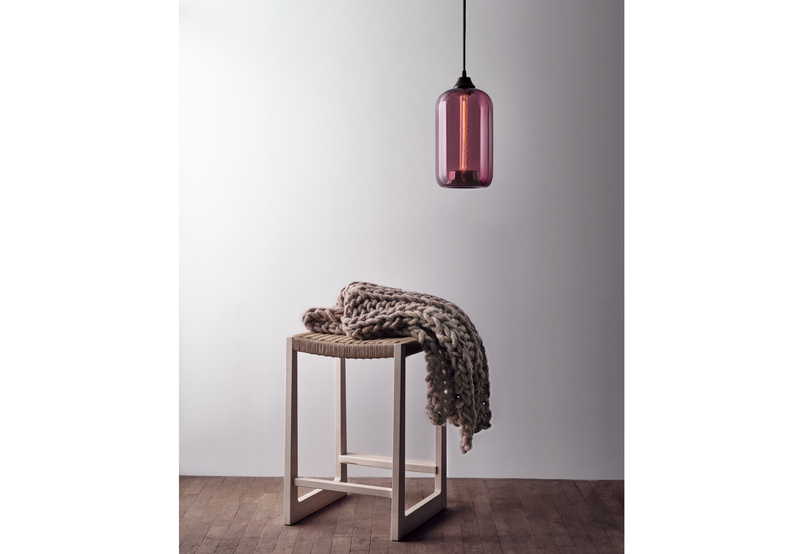 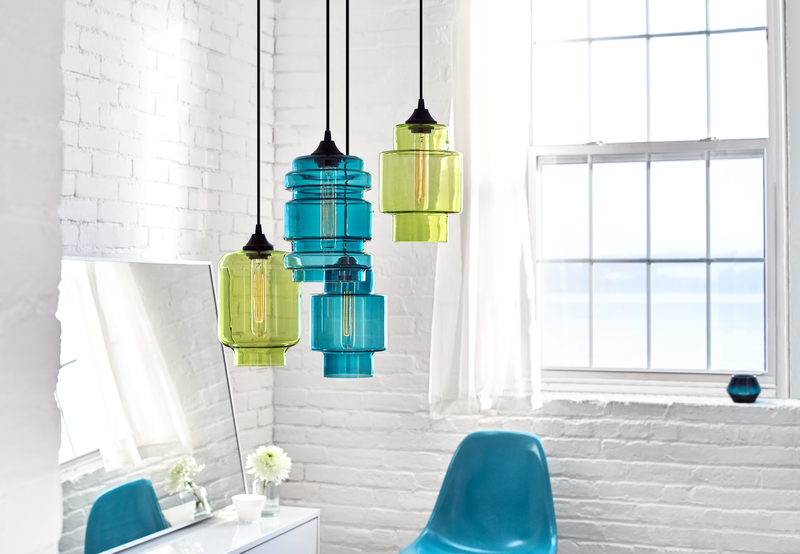 With an array of hand-blown pendant silhouettes and an impressive depth of color choices, our high-quality products are sourced in commercial and residential projects across the globe. 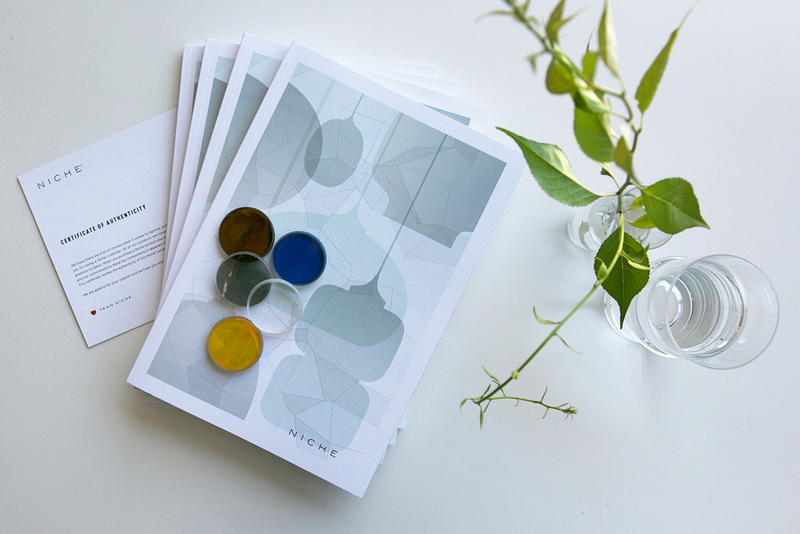 Get inspired by these stunning environmental photos and start planning your next project today! 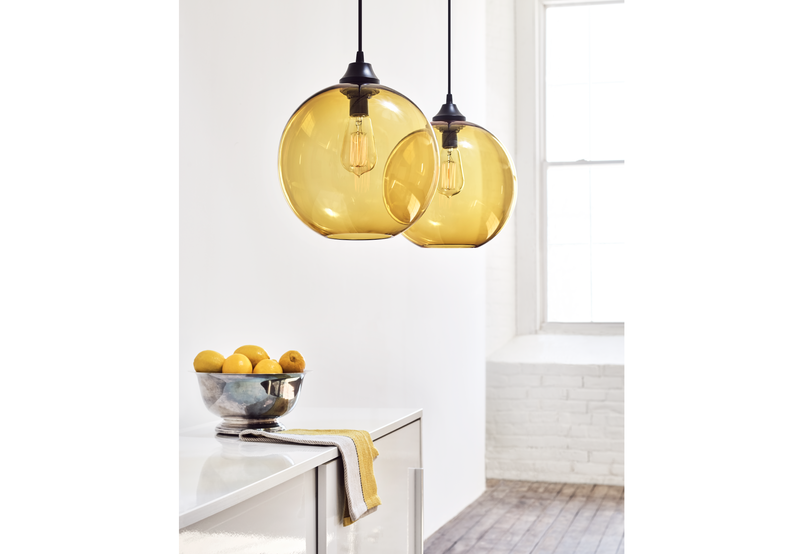 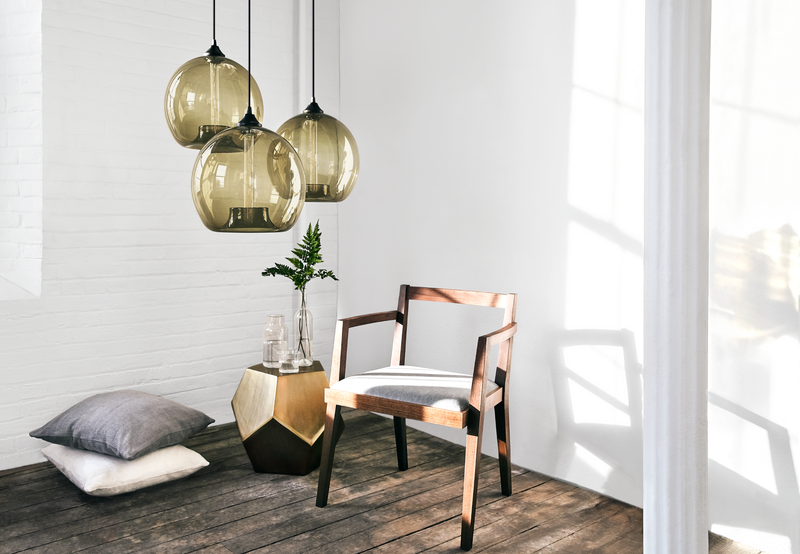 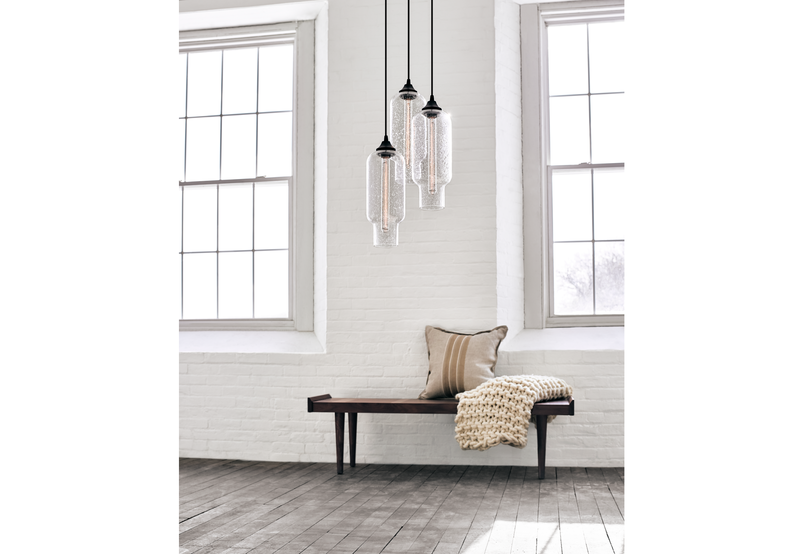 The new Niche catalog showcases our core pendant lighting and chandelier collections through environmental images and product specifications while highlighting the range of our unique, hand-blown glass line. 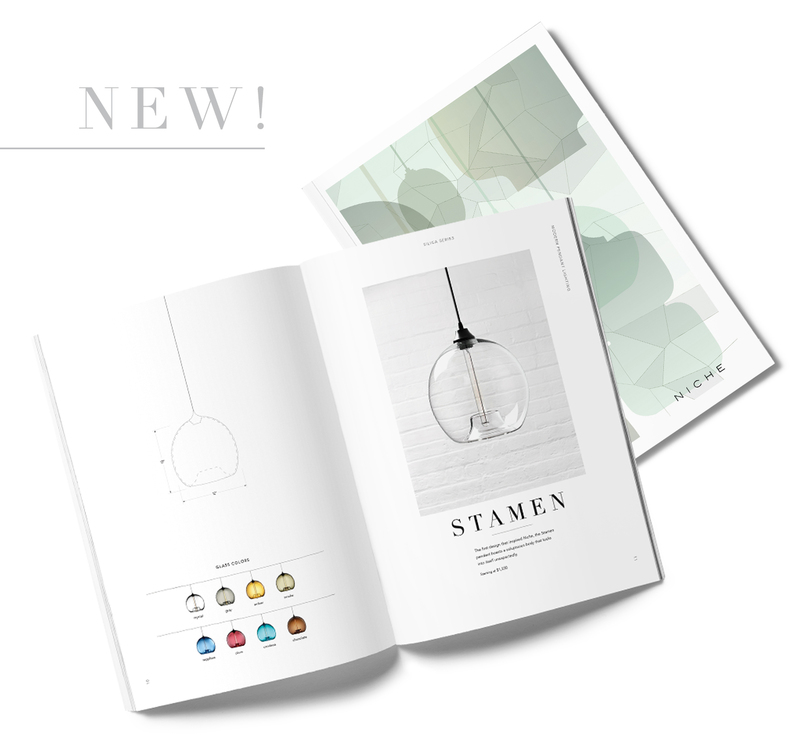 This catalog will serve as a resource for your materials library or showroom to easily present our products to your clients. 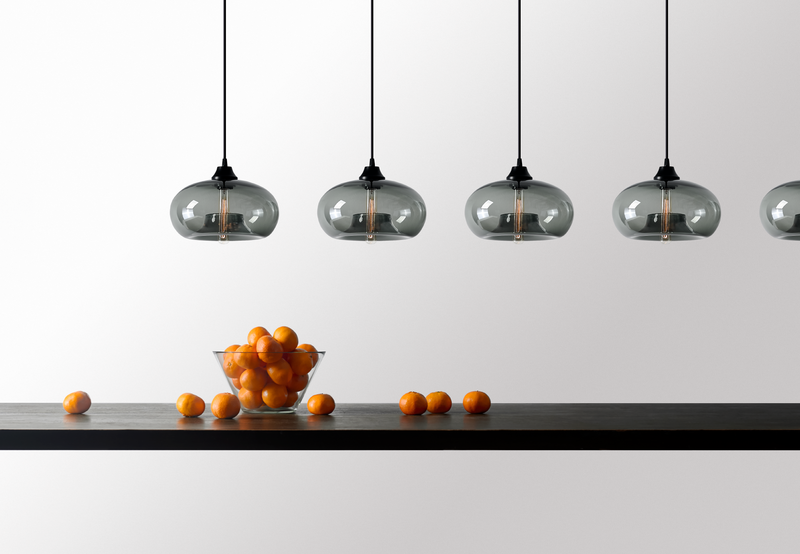 It also comes standard with five of our signature glass color samples including Crystal, Gray, Amber, Smoke & Sapphire.